Why can't I find my saved content? 1. You may be logged out of your account! Go ahead and check our log-in page to see if you are signed in; if you are logged out and are on our homepage, you will see a screen that says "Tune Into Your Practice" instead of the standard, logged-in home page that shows your recently practiced videos. If you are having some difficulty logging in to your account, head to our reset password page and request a password change: there may be a small typing error in your password! 2. 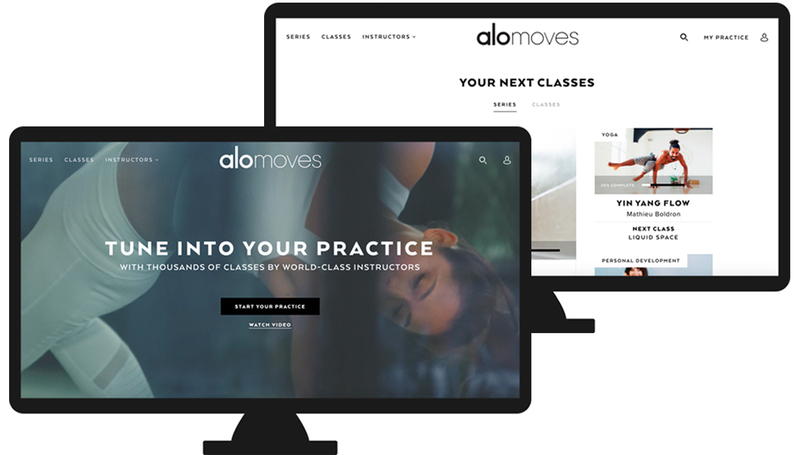 If you can find your series on one of your devices, but not the other, and are logged in to an account on both devices, you may have two accounts registered with Alo Moves. This can sometimes happen if "Sign In With Facebook" is accidentally clicked instead of "Sign In" on either our website or free iOS and Android app. If you have two accounts, go ahead and shoot us an email and we can help to merge them. You can learn how to find the email address you are logged in with here. 3. If you have saved a series or made a previous purchase on your Apple TV but do not see it on your other devices, go ahead and write into customer support at support@alomoves.com and we will get to the bottom of it! If you still cannot find your series, go ahead and shoot us an email and we will be with your shortly!